The 4th Inter-University Badminton Tournament will begin on February 15 on the East-West University (EWU) campus in the capital. 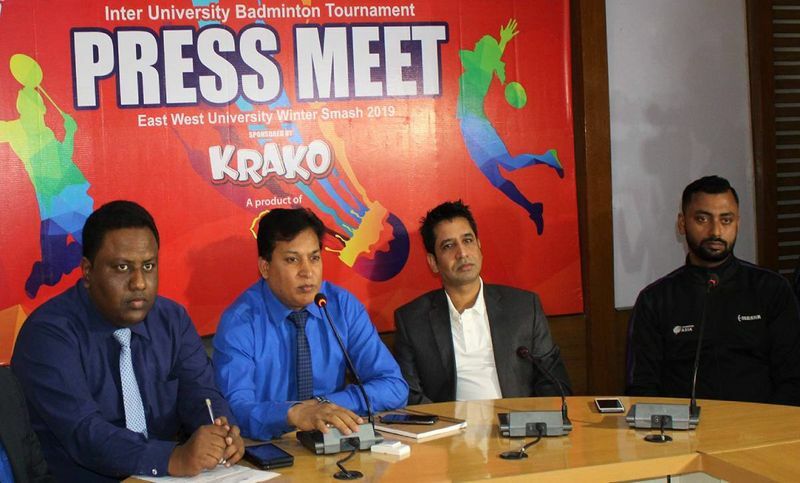 KRAKO, a snacks brand of PRAN Foods Limited, is sponsoring the ‘East-West University Winter Smash-2019’. A leash Mridha, the managing director of the meet’s sponsor PRAN Group, Dr. Mohammed Farashuddin, the chairperson of EWU Board of Trustee, and Professor Dr. MM Shahidul Hassan, the university’s vice-chancellor are expected to be present at the inaugural ceremony on Thursday.